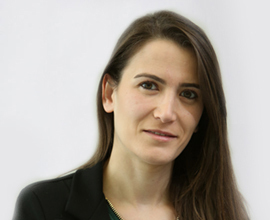 Rana Zakhour holds an MBA in Finance from “Université Saint-Esprit Kaslik” (USEK). She is a Charter holder of the Chartered Financial Analyst (CFA). She has acquired more than 10 years of experience in Finance and Operations Management. Prior to joining GlobalCom group in 2008, Rana started as an accountant at one of the major group in the hospitality sector in Lebanon then progressed to head the Finance and Accounting department of the group, covering all budgeting, financial consolidation and analysis, investor relations and directing the launching of new outlets for the group.